Happy Friday! 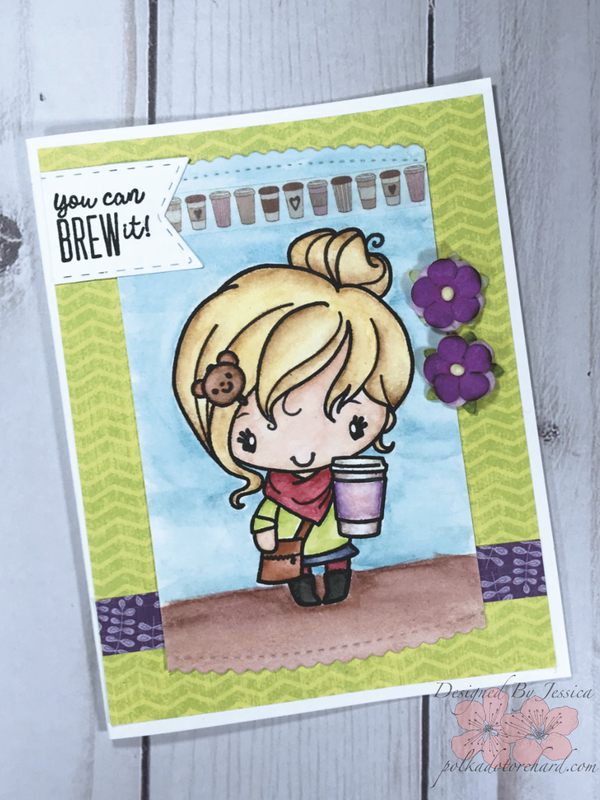 It’s been a fun filled week full of a lot of coffee creations thanks to the wonderful group over on the Coffee Lovers Blog and all the other crafters who joined in. 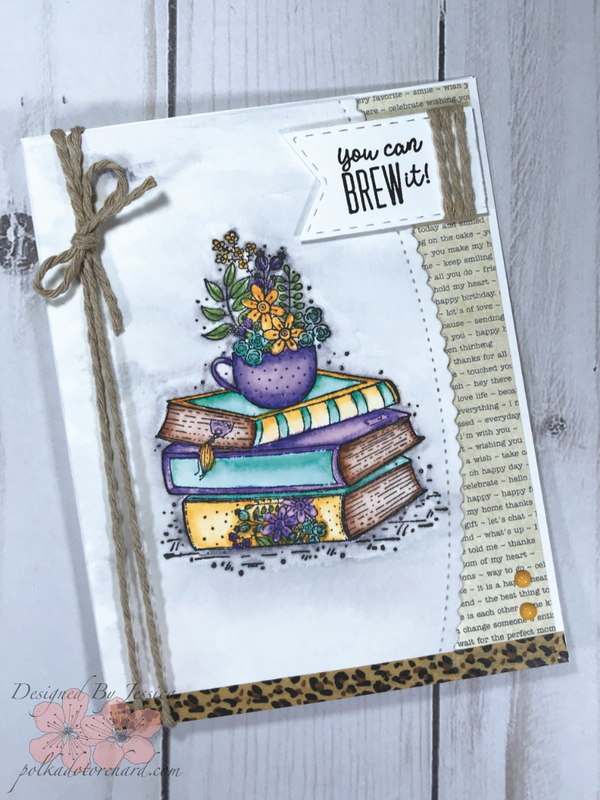 A huge THANKS to Amy from Tsuruta Designs for all her hard work in organizing and running the amazingly fun Coffee Lovers Blog Hop. I’m wrapping up this weeks hop with three more coffee themed cards. I originally had planned on doing more cards then I did. I actually wanted to do more crafty creations with my digi stamps but life and kids got in the way, lol. Last Monday I went in for surgery (nothing serious but still surgery) so I’m still healing from that and then starting the beginning of this week one kid after the other then the husband they all got the flu, woohoo for me. Every single day this week after I drank a pot of coffee, I put on my Shoes Mom cape and got to work. If you follow me or browse through my blog you’ll see that the medium I turn to most is watercolor. I do have alcohol markers, and color pencils, but my favorite is watercolor. I find it relaxing and the easiest to use out of the other mediums. So, something I enjoy sitting down watching a good TV show with a stack of stamped images and watercoloring my heart out. Doing that is what made this week even possible. Since I already had a handful of coffee images already painted all I had to do was match some pattern paper, cut with fancy dies, add bit of washi tape, and do some minor embellishing with sequins, twine and Nuvo Drops. Now I want to talk a minute about favorites. There’s a lots of great stamp companies out there and I have a little bit of everything but at the end of the day my go to is Unity Stamp Co. I love the stamps they make and their wonderful Show & Tell group on Facebook. Speaking of groups I really love the group of people over in the Coffee Loving Papercrafter group, they are a group of some the greatest, kindest people I have ever met. Also, I have become quite obsessed with caffeine related craft projects, which includs coffee, tea and hot cocoa. I’m going to wrap up todays post with a short list of what stamps I used to create these lovely cards. ~ 2nd Card: Faith Sees Beauty Kit of the Month by Unity Stamp Co.
~ 3rd Card: We Can Rise Kit of the Month Unity Stamp Co. Thanks for stopping by today, I am now off to clean the up after the cyclone that hit my craft room. I hope you had the chance to join in this weeks awesome hop and if you didn’t I hope to see you at the Spring/Summer Coffee Hop next year. Wonderful cards and I love the coloring of each. The little girl image is so darling. 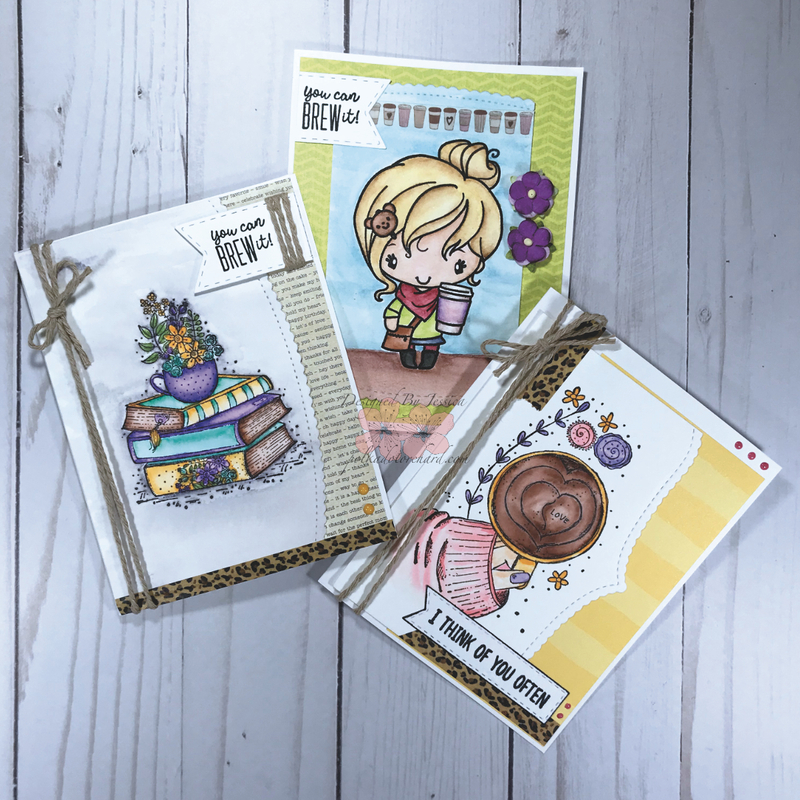 Love your gorgeous card trio! Thanks for the sponsorship and all of lovely linked up projects! Cute cards.. I like the images and fun colors. The little girl is so cute. Realy lovely selection of cards. Absolutely gorgeous cards, such softness and elegance! Lovely cards and all such beautiful coloring. Beautiful cards, I especially love Anya. Darling images, and fabulous cards. Want a heads up when I post new digi stamps and svg files make sure to sign up for my newsletter. Join the Friends of Polka Dot Orchard Facebook group. This is a place to share all things made with my digi stamps and svg files. Get email up dates when I make a new post.